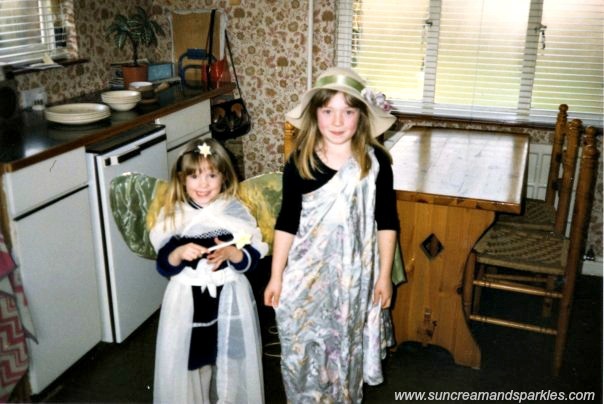 SUNCREAM AND SPARKLES: Girls never stop playing dress up! Girls never stop playing dress up! Girls just love to dress up. We've been doing it all our lives ever since we were little and probably won't stop till we die. I do feel conscious sometimes that when I share my blog posts on our private Facebook account (me and hubby have a shared one) that some people are thinking 'what the hell is Heather doing? Nearly 34, taking selfies and putting it on the internet!'. Well, if you read my blog you know I like to share my ootd's sometimes and I also like to chat about fashion and clothes. At the same time I obviously want my blog to be professional and successful, but I also want it to have an element of fun. Not being too serious and I also want to be relatable, as I am just a normal girl. At the end of the day I'm certainly no model and not trying to be one either. Blogging and sharing thoughts and ideas is something I've grown to love and something I have always been interested in. When I was little I always wanted to be a fashion journalist. As a teenager I was subscribed to Vogue and once a month when it dropped through the letterbox I would lock myself away in my room for hours reading it from cover to cover. While intensely reading every article I would be dreaming that one day I would be writing about all the gorgeous clothes, meeting the designers, going to fashion shows, being on set styling the models, being sent samples and press releases and that one day, my name would be in print too. So I ended up as Cabin Crew, hmmmm, not really a connection is there! But now being in the very lucky and fortunate position where I don't have to work (I do pinch myself everyday, I feel truly blessed) it gives me the space and opportunity to be able to write my blog and explore that schoolgirl dream of mine. Being able to write about the things I love and share them on Suncream and Sparkles, my own little corner of the internet. During my Christmas temp position, manning the fitting rooms was one of the daily duties. Whereas some may find it a little bit of a boring task, I actually enjoyed it. It was so much fun chatting with the ladies and finding out the occasion for their potential new outfit. I loved to find out how they would style it up and offer my advice too. Everyday, women solo or with friends, would be trying on clothes, laughing, cringing, smiling at the outfits and having fun testing out the new pieces. Obviously, some would be a little on the grumpy side seeing the whole process as a chore! But generally women of all ages young and old would be having 'fun' trying on the clothes. And why the hell not. Whether it's in the privacy of your own bedroom or out in the shops, us girls will always enjoy playing dress up and it's something that should simply continue and not be apologised for. Every woman loves to get dressed up, and always will do. I just wish I had the money to dress up every day! Hmmm...must buy a lottery ticket this weekend!